When it rains, it pours. 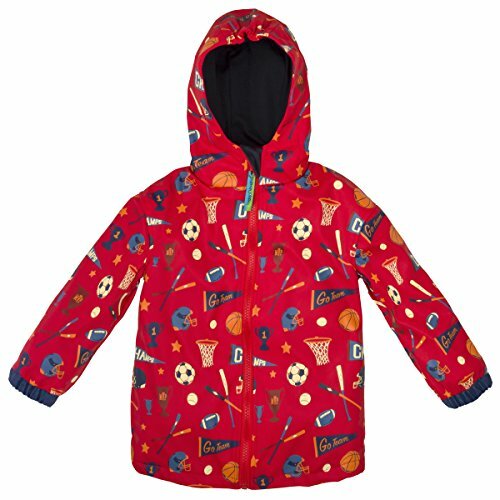 But don't let that stop the family fun; get your little ones ready for the weather with Stephen Joseph rain coats. Each design is so colorful and fun, nothing will be able to put a dampener on the day's activities. So whether you're out in the woods, or jumping in puddles, you'll know your children are dry and having a splashing time. Just make sure you've got your umbrella too - because with these on their backs, rains certainly does not stop play. If you have any questions about this product by Stephen Joseph, contact us by completing and submitting the form below. If you are looking for a specif part number, please include it with your message.